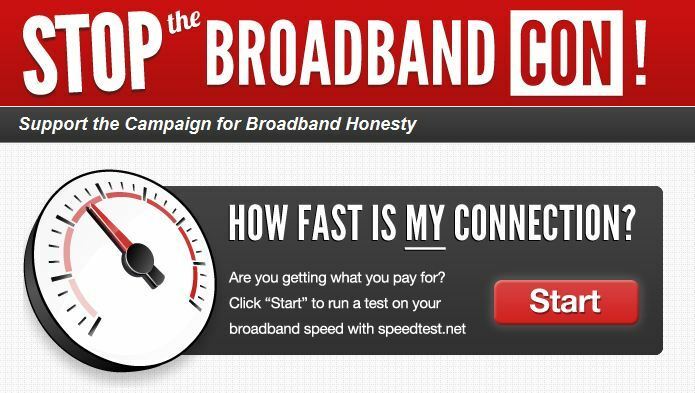 A Virgin Media campaign is gaining momentum: broadband providers need to be more honest about their service speed. "You should be getting what you pay for. Whether it�s a full pint in the pub, forty miles to the gallon or your broadband speeds. But millions of internet users are being short changed every day because their broadband speed is nowhere near as fast as they are expecting or pay for. You could be one of those people." Virgin Media is obviously keen to promote its new high broadband speeds because of advancements in FTTC (fibre-to-the-cabinet) and FTTH (fibre-to-the-home), but its high speed figures only apply to people who are on an unbundled exchange. I tried a speed test on my home address (on an unbundled exchange) and was quoted an expected speed of 6.3Mbps. Impressive, but nothing like the 9.36Mbps speed that they tout on their 'speed matters' page for 10Mbps packages. There is obviously a chronic industry problem, with the simplified advertising of a quite technical service. At the end of the day you need to ignore the advertised speeds and instead look at consumer reviews and personalised line speed tests.